It was a tough one. All in a day’s work. That was only part of the workout. I did a repeat of the wannabe Saturday long run that’s nothing like a long run but mentally makes me feel an eency weency teency bit more prepared for what’s coming in less than 12 days, and the fact that I am not going to be running until then. that kind of long run. my last non long run before Gansett. Happy to report that I had ZERO shin pain. 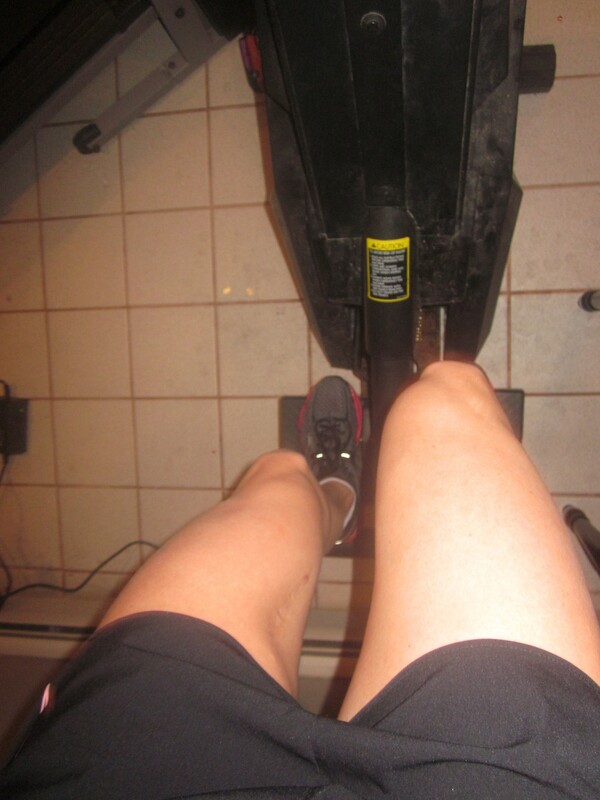 granted, I did not set foot on a treadmill, or even think about running for fear of my little shins getting upset. but, last weeks non long run cardio hop did bother my shinnikins just a tad. 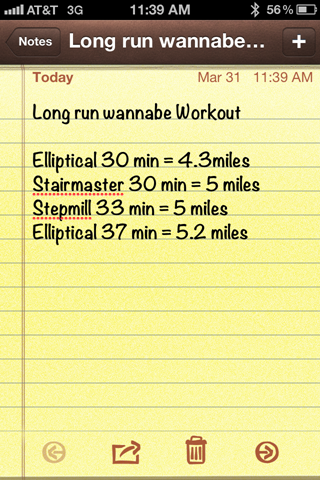 so it was reassuring that I had NO PAIN at all on Saturday doing those blasted cardio machines. and I’m pretty sure I am now labeled at the gym as the girl who escaped from the loony bin and does 2 and a 1/2 hours of cardio on a Saturday morning. what, 2 and a 1/2 hours of cardio doesn’t sound like a rockin’ good time to you? you’re crazy. it’s a rager. It actually wasn’t that bad. I really could have used another 45 minutes to get in a few more “miles” and get some strength training in, but this silly thing called my family needed me to participate in Saturday’s activities, such as birthday party pickups and child rearing. This would be why my shin pain lingers, all in the name of being a mom….because I go straight from a workout to running around all over creation and chasing little people and not icing or stretching or rolling. there’s just not time for the workout and the TLC to happen all at once. I put off the important stuff until that evening. this is better than nothing, but all I wanted to do was immediately throw some ice on those bad boys. not in the plan. Happy day, the hubs and I ditched those kids for a night. what a treat. My preggo sister and her hubs dutifully took care of the kidlings so we could go down to the shore for the evening. We got a deal on a bed and breakfast. We literally get 24 hours from start to finish. that’s about all anyone can handle of those little cherubs. and we kind of do start missing those little crazies. we hightailed it outta the house Saturday afternoon and headed down to the B&B. 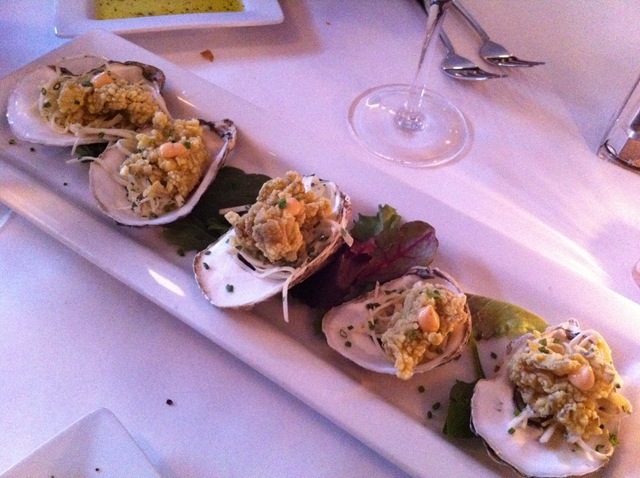 Hubs picked out a restaurant called Liv’s Oyster Bar, and it was FANTASTIC. we are both big seafood lovers, so this was perfect. I really didn’t pay much attention when I was packing, so it was a surprise to me what I was wearing. I put on whatever ended up in my bag. some sort of completely uninspiring sweater/wrap thing, but the shoes were cute. I actually took some pics of the tasty food that was consumed, for your drooling pleasure. and the tasty drink that I consumed. 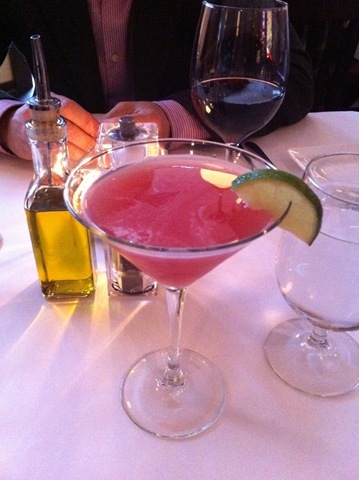 if there is any sort of peartini on the drink list, it’s mine. 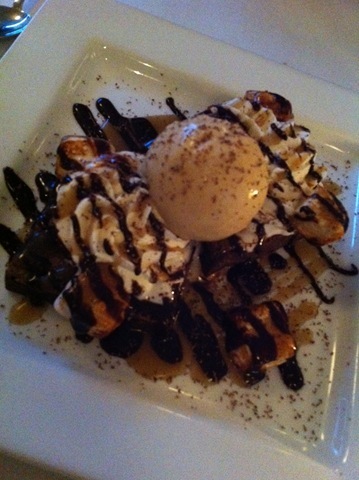 this was delish. anything fried is a homerun in my book. I don’t really care what’s inside. pretty sure it was oysters. but who really knows. 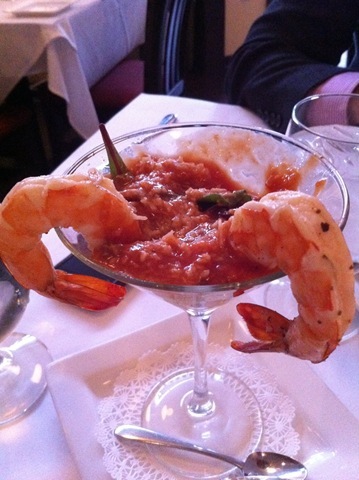 shrimp cocktail is also a favorite. I think each shrimp only cost about $5. what a bargain. 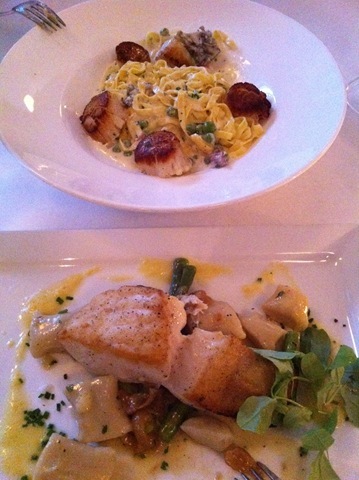 Some fish and gnocchi (love that doughy, potato goodness), and scallop pasta. all of my favorite things in one meal. does life get better than that. oh, it does. dessert. yum. Because we really know how to party and wanted to cram in as much fun as possible on our night away, we were on our phones at dinner finding out when the next showing of ‘Hunger Games’ was. We wanted to make sure we got there in plenty of time to catch all of the trailers and to get the best seats in the house. we got there approximately 37 minutes early. in case you are wondering, that’s plenty of time to get the best seats and not miss any trailers. That’s how you have a fancy fun evening out without any kids. done and back home by 1pm on Sunday. Just in time for me to have some bonding time with Jillian. it’s been awhile Jillian. I was taking Sunday as a rest day, and thought Ripped in 30 would be the perfect complement to a rest day. she kicked my booty. I did week 3 and half of week 4. hurt so good. I’m not a huge fan of the pump you up inspirational mumbo jumbo she shouts at you the whole time – but she said one thing at the end, that made me feel like, oh, Jillian, you are speaking right to me, aren’t you? I get you now, Jillian. so true J girl, so true. and this is what I need to keep remembering. in everything. especially with this upcoming race. pretty darn sure I tell myself at the end that I don’t have more. instead of stopping there and getting defeated – I’ve gotta find the fight. and that’s exactly what my hubs tells me I’m lacking in the end (in the nicest, you are so fast and strong and capable and beautiful, kind of way). the fight. I’m going to find it. good stuff JM. that is why she makes the big bucks. and why I do not. 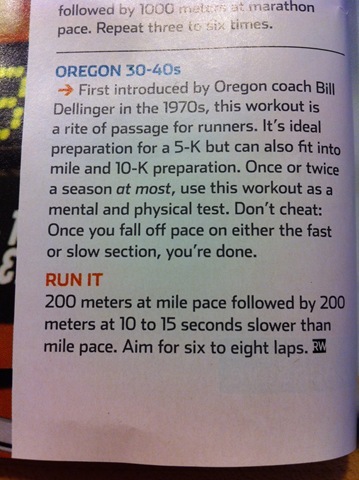 This is one little exercise that I was excited to see in Runner’s World that I am going to incorporate into my next round of training. It’s called a Float Workout. It helps you find the fight and keep it. If someone passes me, I tend to lose it. and the gap grows between me and that person. and I can’t get it back. this speedwork is designed to help you get that surge of energy to push it faster when you are already going race pace, to shorten that distance between you and whoever is trying to take your spot. yes, they are trying to take your spot. I am highly competitive. I don’t want to let them take my spot anymore. 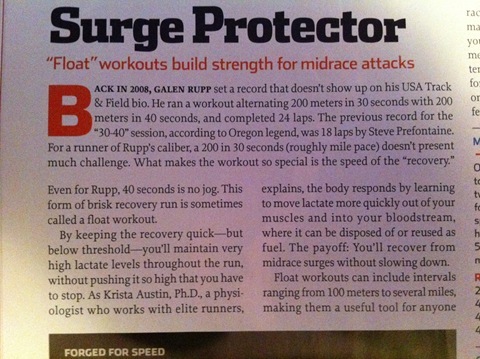 sounds kind of grueling in a fun and challenging way. can’t wait. go do it. have fun. And here we are. today. still no running. still holding off until Wednesday. even though I feel really good. I think I am growing up. doing responsible things like making smart decisions about running so that I don’t destroy my legs and any chance of continuing to do this thing I love. I have run 3 times in the past 2 weeks. crazy. and I’m ok. 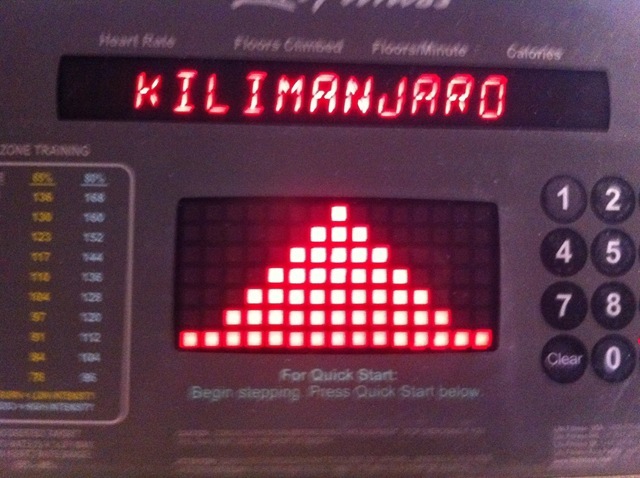 I did hang out on the stairmaster this morning for 45 minutes (7 miles, it tells me) with my girls Carrie and Ali. 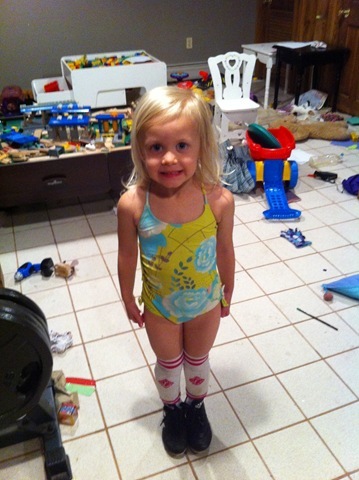 While my little A girl couldn’t decide whether she wanted to go swimming or play soccer. when in doubt, don’t make decisions. do both. I must say, Ali looks pretty fantastic. and she just ran a marathon and that’s what she says got her in great shape and got rid of 20 extra pounds! go her. I just love Carrie. I do. I actually bought that Self because I wanted to see what she had to say for herself. I’ve got country in my bones. can’t help it. and the SHAPE came in the mail. they just can’t quit me. they told me in many a piece of mail for months that they were cancelling my subscription if I didn’t pay. and look, there it still came. they must know it’s my birthday month and are being extra nice to me, because I celebrate all month. I’m so special. My mom knows I celebrate all month too. and she brought me some fun little presents. she’s actually a day late, because today is the second day of the month, but I will forgive her – because one of the little presents was in the form of a cute little Lululemon gift card. there’s nothing better. I’m not kidding. not even chocolate. blasphemy, I know, but it’s true. What a long, fun filled, short weekend – so much to chat about. much more to come that needs to be chatted about. new sneaks. that chicken chili recipe that I need to share with you. 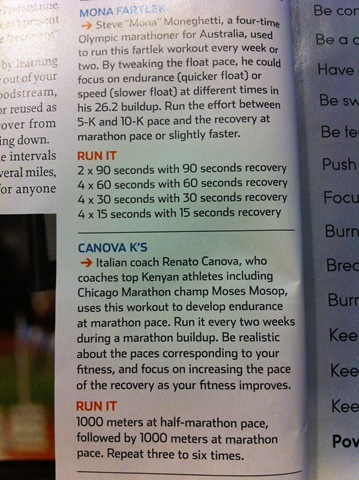 more fun running workouts. how it’s officially ok now to be tapering for a marathon, but the fact that I’ve been un-officially tapering for over a week stresses me out a bit, even though I know it was the best only thing to do. how sometimes decisions are made not because they want to be made but because they have to be made. and you hope that it all turns out ok in the end. that kind of stuff. Now, I want to hear about YOU! How were the races, friends?!?! Workout – I got it in! 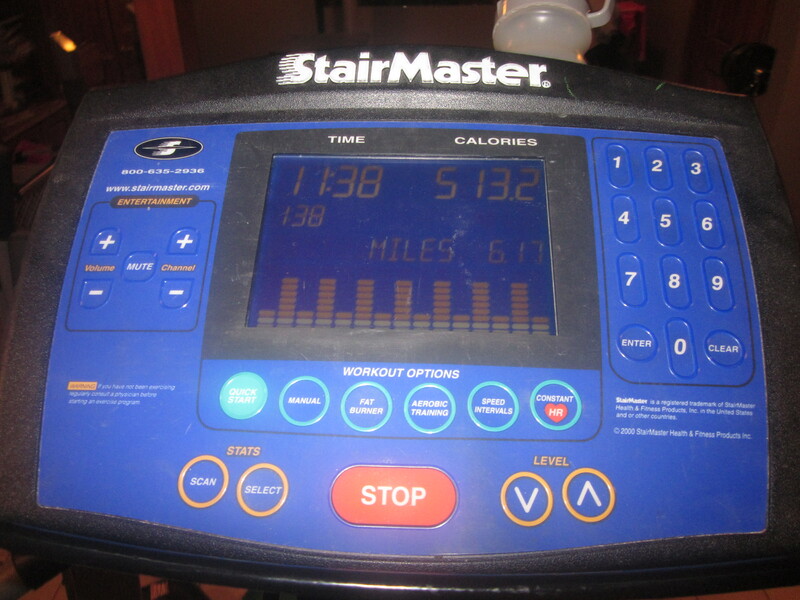 Stairmaster – 45 min, level 18 speed intervals. This is a FANTASTIC crosstraining workout. builds those quads. get on it. and pump up the level. I’ve decided, just this second, that Friday’s post will be a “how to” post. For the simple reason that I am abounding in knowledge that I must share with all of you. Your loss if you don’t read. Because I ‘m growing very fond of you blogging, you lucky people get a 3rd post for the day!!! agreed, maybe a little excessive, but we are just getting to know each other. and I have said I am an all or nothing person. so today you get ALL. To be quite honest, I have had a very productive day………..blogging:) I kid. really. I am a good mom. and a good person. and my kids wear nice, clean, wrinkly free clothes. sometimes. 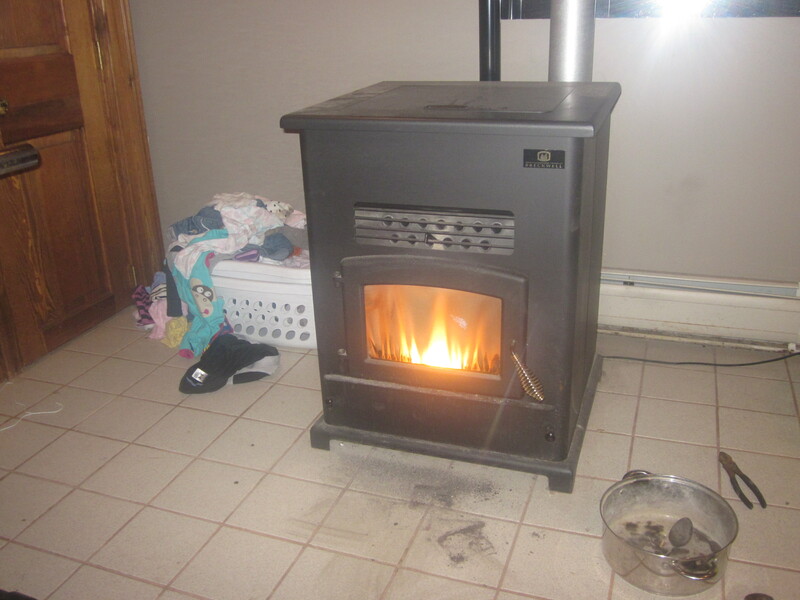 This is where the workouts happen in the winter – in the basement, 15 feet from the pellet stove. looks so friendly and inviting. makes you want to just pull up a stairmaster and work it. someone please call the maid. something has got to be done about that laundry. 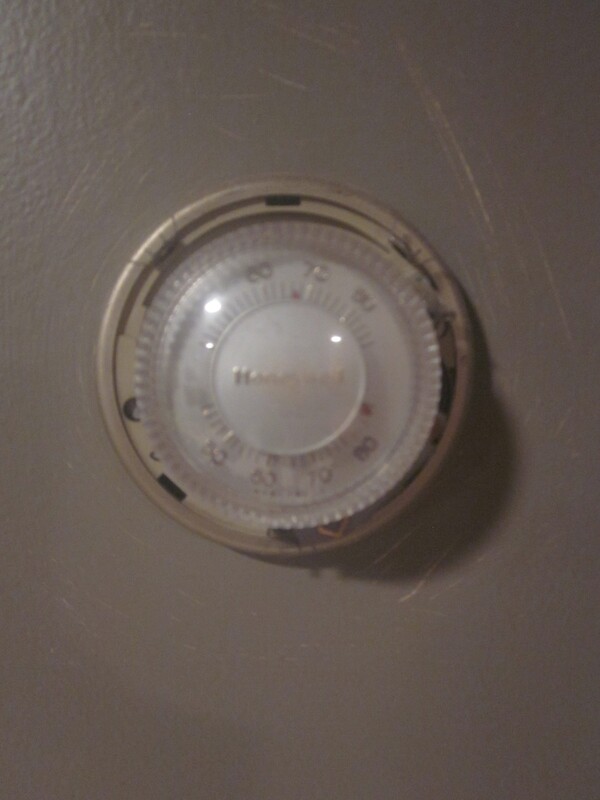 Puts the temp down there at a toasty 87 degrees. How do you survive in conditions like that??? note to blogger - get to a hairdresser asap and get your blonde hair back. even if you have to get a second, third or fourth job. get some sun while your at it. and stop talking in the third person. 2. Have plenty of good reads. 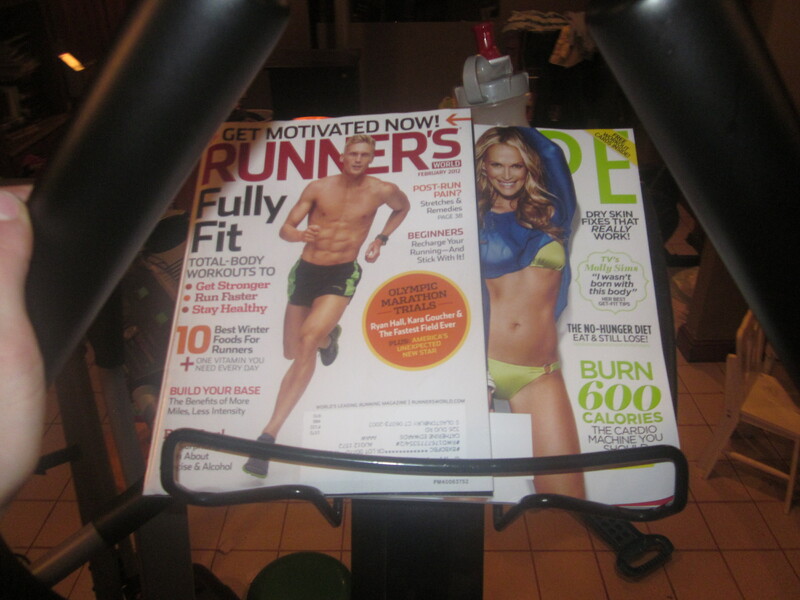 Molly Sims and runner boy have been stalking me from my counter all week. time to figure out just what they have to say. 3. Don’t wear leggings/pants of any sort. you like that battle scar on the left leg there. it got nasty at the playground. don't mess with mama katie. actually just my reminder to NEVER go in the sun or a tanning bed. melanoma will get you every time. stay safe kids. And that, my friends, is how to properly survive a furnace workout. Do you like to run in super crazy hot weather? Running leggings/shorts? What’s your preference?